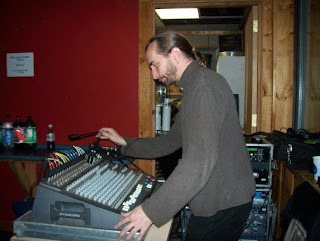 Adventures of Sound Tech Guy: Ian Gifford - Musician, Sound Guy and my old friend. 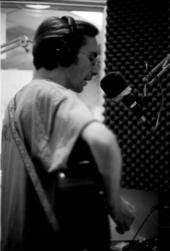 Ian Gifford - Musician, Sound Guy and my old friend. Ian Gifford's original tunes are witty and fun, endearing and heartfelt. His vocal style can go from a whisper to a scream in no time and then to a soulful wail that hearken back to his beginnings in choirs as a teenager and young adult. 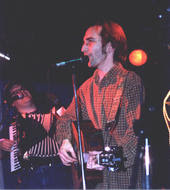 A typical set will traverse country rockers to folk ballads to all out spirit lifting gospel blues. Accompanied by honest, straight from the hip and funny story telling; Ian's performances, even in the largest of halls, will leave you with a feeling of intimacy shared between the closest of friends. Jazz, blues, folk, country and rock all thrown into one big musical melting pot just scratch the surface of Ian's diverse musical stylings. Ian is now playing drums for the Dave Dillon Blues Band and the Rumblebees (50's and 60's rock and roll). Watch for shows around London! most of Ian Gifford's Top 16 are talented musicians/artists that he thinks that you should check out and add right away. I invite you to take a look at Ian's web pages, listen to some of his original music, and watch some of his videos on YouTube. I think Ian is a great musical talent who really enjoys making music and entertaining people.